Euroleague Basketball legend Juan Carlos Navarro officially ended his professional basketball career on Friday at a press conference held in Barcelona in the shadow of Palau Blaugrana, the scene of so many memorable shooting and scoring exploits by the all-time leading scorer in Turkish Airlines EuroLeague history. 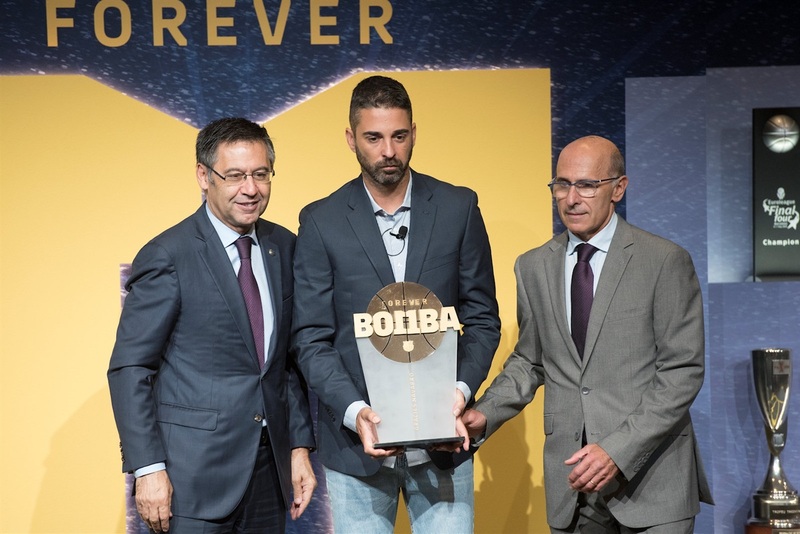 During the press conference, FC Barcelona president Josep Maria Bartomeu confirmed that Navarro's number 11 will be retired by the club on November 25, when Barcelona hosts Real Madrid in a Spanish League action. Two months earlier, on September 25, an institutional event will take place al Palau Blaugrana to recognize his trajectory and presence in the club. A special place will be opened in Barcelona's museum to honor him and a documentary about his career is already in progress. 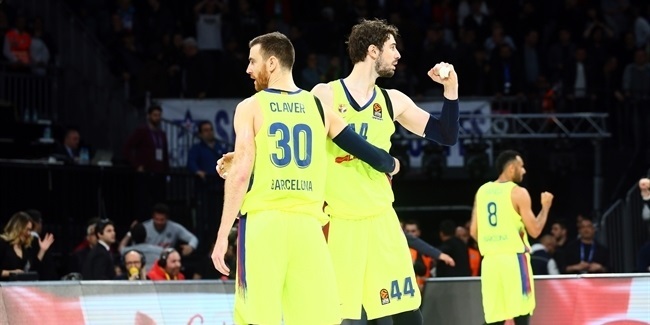 Navarro becomes the fifth Barcelona player to have his number retired, after Andres Jimenez, Juan Antonio San Epifanio, Nacho Solozabal and Roberto Dueñas. All of them were present in the press conference along with Navarro's former teammates Pau Gasol, Marc Gasol, Ricky Rubio, Jordi Trias, Roger Grimau, Lubos Barton and Victor Sada. 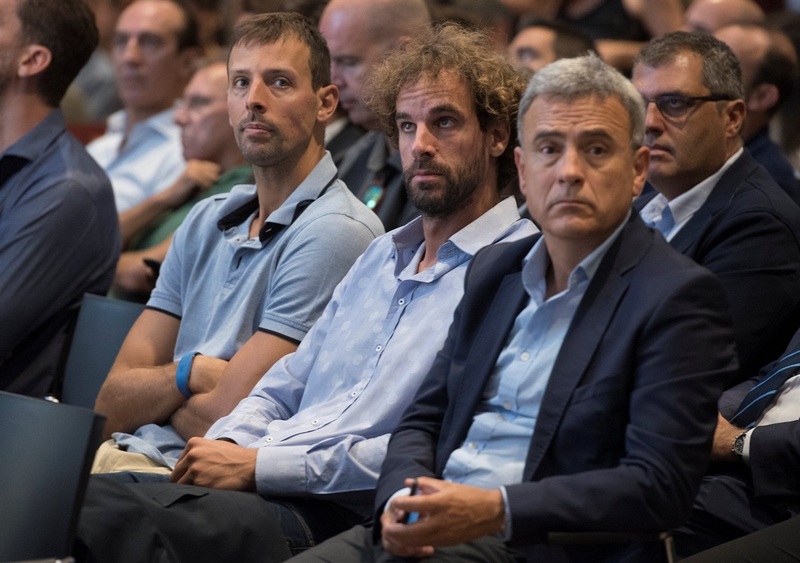 All of FC Barcelona Lassa's current players were present at the event, too, along with head coach Svetislav Pesic. "Of all the titles I won, the two EuroLeagues are the most special." "First of all, I would like thank all the people that came here – the president, teammates, friends and especially my family. It is time to say goodbye to the basketball court and that is why this is an important day for me," Navarro said. "It brings a lot of memories right now, about basketball, Barcelona and the national team. I am thankful to everyone; to the club, for all it gave me during these 20 years at the highest level, with good and bad moments; and to the national team, where I won everything I dreamed of. "Even when my idea was to keep playing one more year, I have embraced the idea that it was time for me to be in the club, but with a different role. Right now, I only want to contribute, using the experience that I gained in the last 25 years to help the team in a different way, especially helping young players transition to the first team. It is not time to look back, but to keep enjoying basketball from a different perspective." 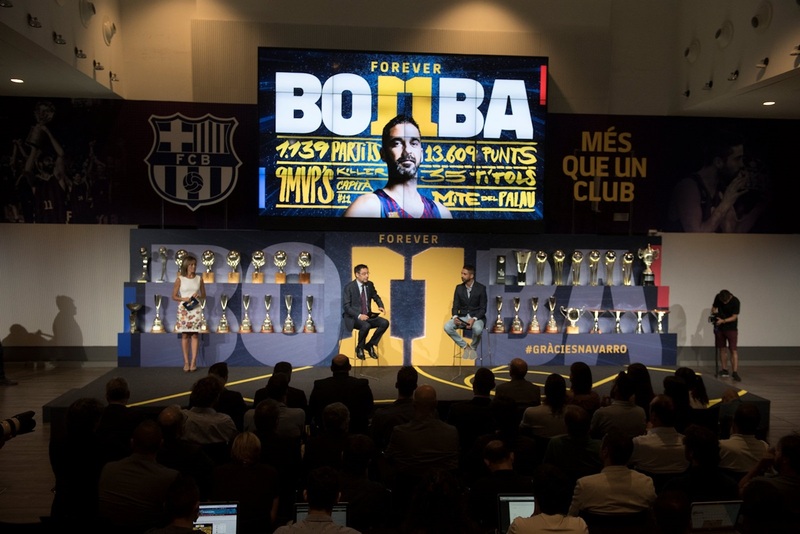 Navarro retired after playing 1,139 games in 20 seasons with Barcelona, scoring 13,609 points and winning 35 official titles – all of which were exhibited in the press conference's background. 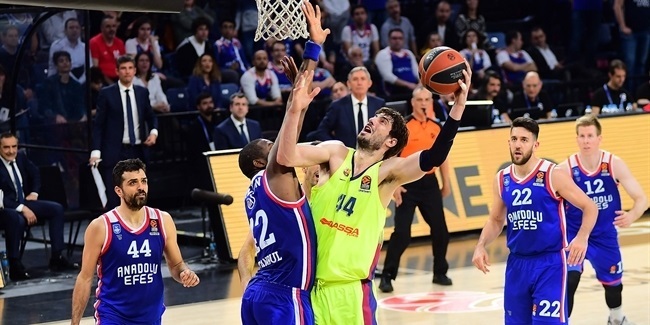 He made EuroLeague history in golden letters, winning two titles in 2013 and 2010, becoming the competition's MVP in 2009 and earning Final Four MVP honors in 2010 as the only Spanish player to claim that award until now. Navarro retired as the EuroLeague's all-time top scorer, with 4,152 points, having being chosen five times to the All-EuroLeague First Team, a record. "Of all the titles I won, the two EuroLeagues are the most special," he said. "The first one, in Barcelona, was also the club's first and it was in front of our fans. And in the second one, in Paris, I was a more important player for the team and ended up being Final Four MVP." Navarro is one of five players ever to take part in five Olympic Games, winning three medals: silver in 2008 and 2012, bronze in 2016. Navarro also led Spain to win the 2006 FIBA World Cup and got three EuroBasket gold medals in 2009, 2011 and 2015, among other highlights in his truly legendary career. "I want to thank my family, starting by my parents and brothers, who brought me into basketball, and by Vanessa (his wife) and by daughters: without them, none of this would be possible," he said. "Thank you to all the teammates and opponents I had the pleasure to practice and share a court with. I am sure you made me a better player and a better person. Thank you to the people in the locker room – doctors, therapists, physical trainers, kit men, press officers... Those people made an invisible, yet very important contribution, and they have been key for me to step on court in critical moments. Thank you to my coaches, I don't want to forget any of them. I got positive things from each and every one of them. 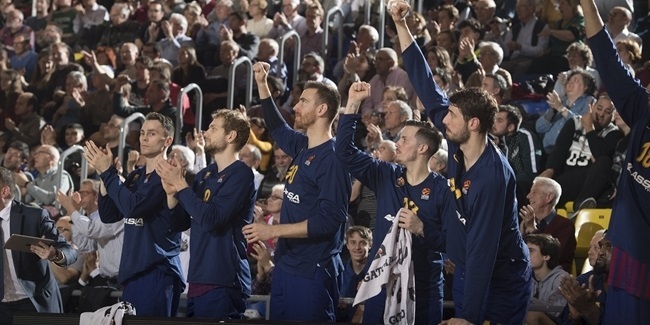 "About Palau Blaugrana... what can I say? I will miss being on the court but I am thankful to everyone, from maintenance crew to ushers and, of course, the fans. We trembled together, won titles and, in the end, lived historical, unforgettable moments together. A special mention to the press for the good treatment I received throughout the years. I know it was hard for you to get words out of me, but you always treated me well." 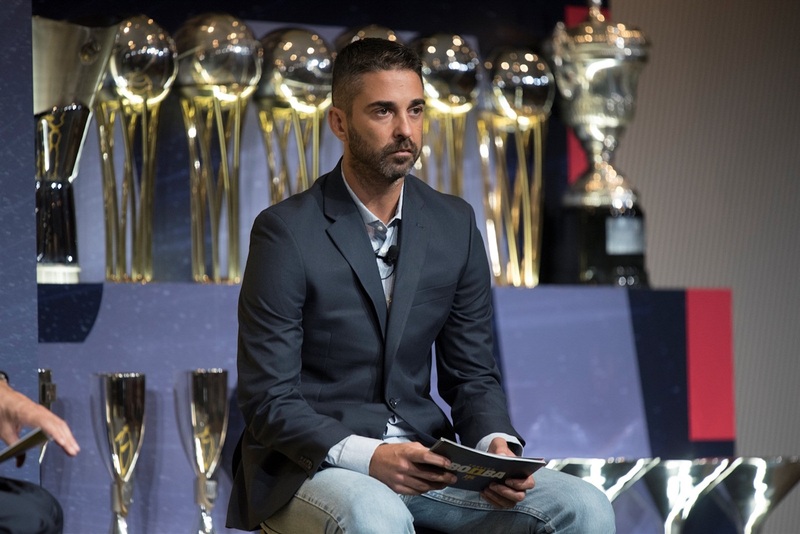 Navarro will remain with the club with a new off-court role, that of basketball section manager, in which he will have both institutional and sports responsibilities. Institutionally, he will be the club's ambassador, representing Barcelona's basketball team at events near and far. As far as sports responsibilities, he will be involved in the club's basketball structure, from management to helping young players develop. "We trembled together, won titles and, in the end, lived historical, unforgettable moments." 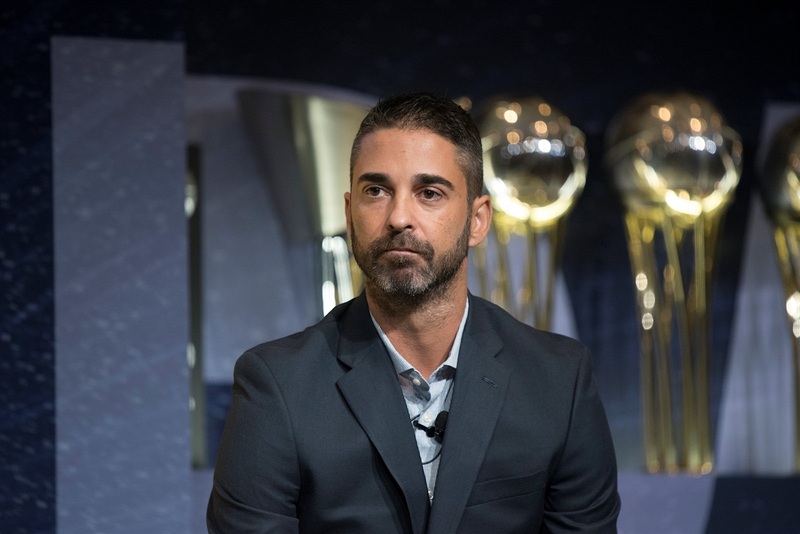 "Speaking about Juan Carlos Navarro is speaking about an institution, a legend, and arguably the best basketball player in FC Barcelona's history, who also had great success with the Spanish national team. His sports achievements are second to none. He won 35 titles, which you can see behind us. I think everyone will agree that Barcelona's basketball team would not have been the same without his presence," Bartomeu said. "He arrived at Barcelona at age 11 and is 36 now. That means he has been linked to the club for 25 years, 20 of those in the first team. Without extraordinary physical skills, he reached further than anyone else due to his will to be better, his ambition, his very competitive character and his special talent. For everything that he gave us and can give us from now on, Juan Carlos Navarro is part of the club's heritage. That is why he signed a one-of-a-kind, unprecedented 10-year contract. Barcelona will always be in debt with Navarro and wants to give him back everything he gave us on the court." In one funny moment of the press conference, Navarro joked about not being able to play with Pau Gasol in Barcelona ever again. "My friends also deserve a special mention, they have always supported me, especially after the games. Thank you to Pau, Marc and Ricky for being here. They are world-class references. Pau, man, I have been here, waiting for you until the final moment but I couldn't take it anymore!!! "Finally, I would like to make clear that my intention is that Juanqui keeps being Juanqui, that I don't change. Like I said, a great part of my life is ending but a new one starts, and it shouldn't be less thrilling. I will keep giving everything for this club. Thank you," Navarro concluded, and was met with a long, emotional, standing ovation.